THE sacrifice of those who served during the Great War is the subject of a new commemoration project. People with stories or photographs of Surrey during the First World War are being urged to help create a lasting digital memorial to the county’s role during the conflict. Surrey Heritage has launched a new website to document the experiences of local residents both on the home front and battlefields overseas. The website is the centrepiece of Surrey in the Great War: A County Remembers, a vast project funded with a grant of almost £460,000 from the Heritage Lottery Fund. Contributors will also be able to search through the website’s records from the period, including indexes to local newspapers to find out more about wartime life in the county. Volunteers from communities across the county will be encouraged to add the names of men and women listed on Surrey’s hundreds of war memorials and tell their individual stories where possible. Richard Walsh, the Cabinet Member for Localities & Community Wellbeing, said: “This ambitious project will create for future generations an enduring digital record of Surrey’s contribution to the first global war in human history and we warmly welcome the grant that has made it possible. “Thousands of men from Surrey alone died in the First World War and the lives of many on the home front were changed beyond recognition. As well as preserving the heroism of those in the Forces, a major focus of the website will be the experiences of those on the home front who faced food shortages, regular air raids and, in some cases, learning of devastating personal losses. By November 2018, when commemorations of the 100th anniversary of the World War I draw to a close, the website will have become a major and enduring tribute to the sacrifices and suffering of Surrey’s people a century ago. Head of the Heritage Lottery Fund South East, Stuart McLeod, added: “The centenary commemorations are giving us new insights into the impact of the First World War on every part of the UK. Stories brought to light in recent years include the exploits of Flora Sandes from Thornton Heath who pretended to be a man and became a Captain in the Serbian Army, and insights into the life of renowned war poet Wilfred Owen who trained at Witley North Camp near Godalming in 1916 where he wrote a precursor to his famous Anthem for Doomed Youth. 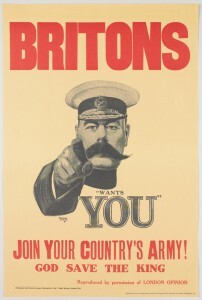 To find the project go online now to surreyinthegreatwar.org.uk.